Quilting is a tradition that has been around for hundreds of years, and anyone who has seen a quilt up close knows the intricacies of the work involved in putting the quilt together. While many quilts have been painstakingly done by hand, today’s quilts can be done using sewing machines equipped with the latest technology. Adapted to accommodate the large size of quilts, these machines make the task of creating these fabric masterpieces easier than ever before. For those who are serious about their quilting, there is no better machine to use than the Qnique Quilting Machine by the Grace Company. The Qnique Quilting Machine, designed to make quilting easier for both beginning and experienced quilters, comes equipped with a variety of features. One of the most popular features is the extended height and length of the work area. This allows a quilter to work on larger patterns and blocks, offering a 15-inch throat space from the needle to the back of the work area. 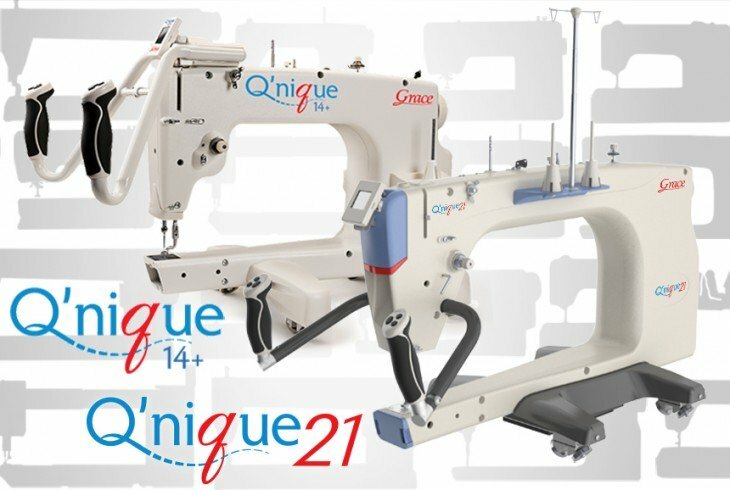 Designed to be the latest model in the mid-arm quilting world, the Qnique has been adapted to include the latest computerized technology. The Quiltmotion hardware and Creative Touch software will work together to provide an experience unlike any other. Controlling the machine can literally be done at one’s fingertips, as the Qnique is the only machine on the market with six quick-access buttons on the handles. Many customers prefer the Qnique 14+ Quilting Frame because it is a king-size frame, enabling it to handle much larger quilts and provide plenty of work space. With many pricing options and quilting packages available to customers, the Grace Company is the first and only choice for those who understand what’s needed to create the perfect quilt. Industrial-strength machines that are user-friendly and come complete with built-in stitch regulation set Grace Qnique Quilting Machines apart from any others. When you want the best from the best, purchasing a Qnique Quilting Machine from the Grace Company is the smart choice.